I tried preaching again using the method I was taught recently. It still feels odd to prep and deliver this way but I am sure it will get easier with time. Today's passage was John 12:20-33. Jesus' disciples are met by some Greeks who wish to see Jesus. Their words now sit facing many a preacher - exhorting us to preach in such a way that our hearers encounter Jesus for themselves. I didn't preach from the pulpit making it easier. For me to engage with the congregation as used the lectern as my base. Attention grabber - a way to ensure that people are listening and engaged. 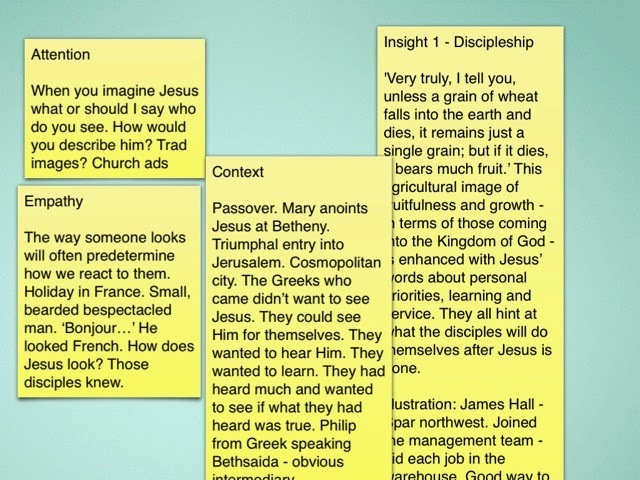 Empathy - can the congregation empathise with a key aspect underlying what is going to be said. Today was reminding us that how we see someone can affect how we interact with them. 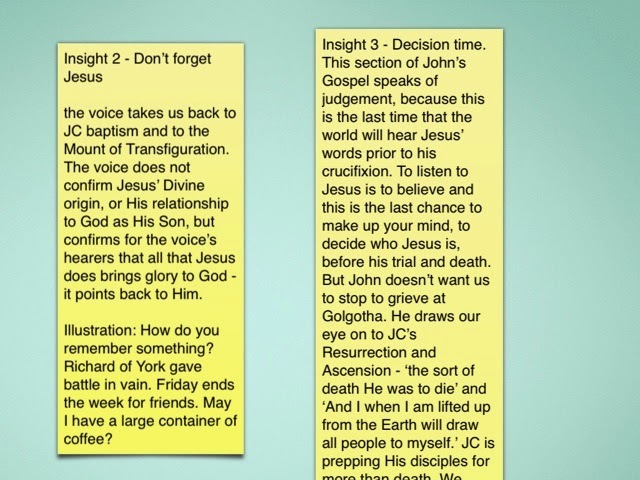 Context - how does the passage sit in the context of the rest of this section of scripture. Today was acknowledging this passage comes after Jesus' anointing at Bethany and His triumphal entry into Jerusalem. Insights and illustrations - here lies the key things that as a preacher I feel called to say. Today was something about discipleship, something about. Good's call to us not to forget Jesus and his ministry in pointing people back to God, finally something about needing to make a decision about the natur e of Jesus' ministry for ourselves. 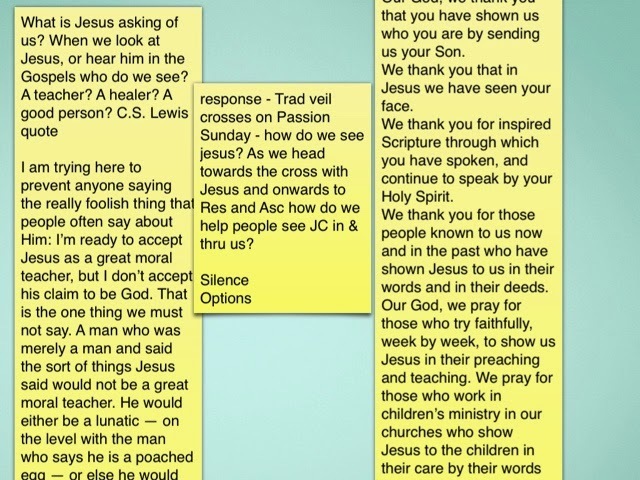 Respond - ask people to silently reflect and then ask them to respond the the central points in the sermon. Today's go at preparing this way felt more natural to me, but again was a bit long coming in at around 14 minutes. I think this still as much to do with me honing the new skills I have learned. Feedback has basically been good, but if you are reading this and heard this morning's effort, I would really value some constructive feedback. I hope our congregations will grant me a little grace as I seek to embed these new skills!